AMADOR COUNTY, Calif.—Feb. 16, 2018—Assistant Presiding Judge Renée Day has announced her run to retain her seat in the Amador County Superior Court. Judge Day, a resident of Sutter Creek, was appointed to the Amador Superior Court in November of 2015 by the Governor following the retirement of Judge Susan C. Harlan. 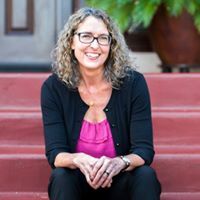 Judge Day first began serving children and families in Amador County in 2010, when she was appointed by Judge Harlan to serve as counsel for children and parents in juvenile dependency matters. Then, in 2014, she was appointed by Judges Harlan and Hermanson as Superior Court Commissioner, where she presided over small claims, case management, child support and traffic matters, in addition to serving as the court’s staff attorney. Over the years, Judge Day has worked tirelessly and consistently with staff to increase access to the court and streamline processes, even in the face of diminishing budgets. For example, upon realizing that many members of our community are self-represented, Judge Day collaborated with the court analyst to create a simplified form packet for step-parent adoptions. And working with the Family Court Services Director, Judge Day implemented procedures to consolidate the process for parents meeting the various requirements of family court so that they do not have to take excessive time off work. Judge Day earned a Juris Doctor degree from the University of San Diego School of Law and a Bachelor of Science degree from California State University, San Bernardino. In addition to presiding over civil, criminal and family cases Monday through Friday, Judge Day is active in the Amador County community, contributing to programs that help fund academic, athletic, and artistic programs for children. Judge Day has participated in judging youth speech contests and frequently speaks to community groups on children’s issues involving court proceedings.